Karmatoken is starting its Bounty campaign to reward its community with KTN tokens. 3% of all raised tokens will be allocated to the Bounty, unsold tokens will be burned. The program will run until the end of the Token sale and tokens will be distributed within 30 days after the end of the sale. AND stay in it till the payment of the Bounty Campaign. Someone leaving it before, will be banned of the Bounty and will not be paid. Questions about Bounty have to be asked in the Bounty channel only. Bad language, cheating, defamation will not be accepted and you will be banned and blacklisted. Using more than one account is forbidden and you will be banned, blacklisted and you will have a red trust on bitcointalk. The decisions of the Bounty Manager are absolute. Ann+bounty : Italian, Portuguese, Spanish, Russian, Japanese, Chinese, Arabic, German, Hindi, Indonesian, Vietnamese, Korean. Whitepaper : Italian, Spanish, Japanese, Chinese, Arabic, German, Hindi, Indonesian, Vietnamese, Korean. Translators have to keep their Ann alive. -Translators have to keep their Ann updated and alive, a dead Ann with only one post is useless and will not be paid. -Users with a red trust can not join the campaign. -Users have to show their previous work, we will not accept new translators. -The news will be posted on our Twitter and only post with the “ #news” have to be posted. -After posting a news in your Ann, you have to wait 1 hour before posting another. -Do not post news if they have been published more than 3 days earlier, we will NOT count them. 1)Check in the spreadsheet if your language is still availaible. 2)If your language is still available, fill and submit this form. 3)You will be contacted by the Bounty manager. WARNING: every translation submitted before the approval of the Bounty Manager will not be paid. WARNING: the language has to be the native language of the translator. Asking for more than one language is forbidden. If you do not respect the deadlines, the translation will be given to someone else. -Users have to be at least Jr. Member. -Using more than one account is forbidden and you will be banned, blacklisted and you will have a red trust on bitcointalk. -Wearing multiple signature is forbidden and you will be banned and blacklisted. -Users have to wear the signature and the personal text according to their rank. -A minimum of 15 meaningful posts per week must be made during this period. Off-topic, spam and meaningless posts will not count. -Posts must have a minimum length of 70 characters. 2) Fill and submit this form. Join the official Telegram Channel of Karmatoken and stay in it till the payment of the Bounty Campaign, to earn 10 stakes. Bonus: The most active user of the week will receive 30 extra stakes. Stakes will be paid depending on REAL followers (after an audit), WARNING: the number of followers will not be updated during the Bounty Campaign. -You have to keep the tweets of Karmatoken, until the end of the Bounty Campaign. -Your twitter audit (https://www.twitteraudit.com/) score must be equal to at least 85% and only real followers from the last audit will count. -Articles must have at least 250 words and have to talk about Karmatoken: Whitepaper, Token Sale, karma aspect, community..
-Only original work is allowed, copy a part of the Whitepaper AND/OR the Website is NOT allowed et the articles will NOT be paid. WARNING: You CAN NOT contest your number of stakes ! Only real followers will be counted. WARNING: the number of followers will not be updated during the Bounty Campaign. -You have to keep the post of Karmatoken, until the end of the Bounty Campaign. -Participants have to tag karmatoken on their photos or add @karmatoken_official to your photo or story. -Stories have to have at least 3% engagement to be considered valid. 3)We will verify your account, if we find it suspicious we will be in the impossibility to join this campaign. 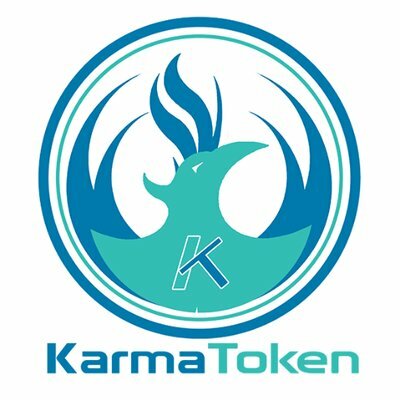 -Video have to talk about Karmatoken: Whitepaper, Token Sale, karma aspect, community..
-Videos will fake views will NOT be paid and you will be banned. -Video in an other language could be accepted but you have a to contact the Bounty manger first and wait for his approval. WARNING: If your video is judged as “mediocre” you will NOT be paid even if you have many subscribers. 1)Complete and submit this form (when your article is posted). More info coming soon, follow our Twitter account !